Last night we held our pre-opening celebration for friends and family, to great fanfare. 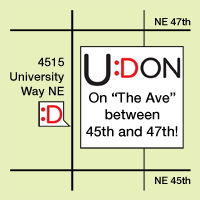 Apparently folks have been craving authentic house-made udon noodles in Seattle (as seen on our Facebook page! Thank you to everyone who attended, for your generous comments and compliments. 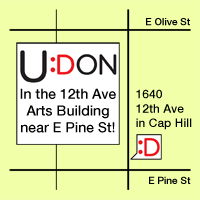 Your feedback will help U:Don Fresh Japanese Noodle Station become a new Seattle institution! The event was also a valuable training ground for our kitchen staff, to help work out all the kinks before our opening later this week. That being said, they performed amazingly under fire, and we really do believe our team is ready to put U:Don on the map! Check out some photos of last night's celebration! This entry was posted in Events, Noodles, Seattle. Bookmark the permalink.